Well we were right! It didn’t take long for this awesome cart to get scooped up by some awesome new customers from Predator Ridge Resort! 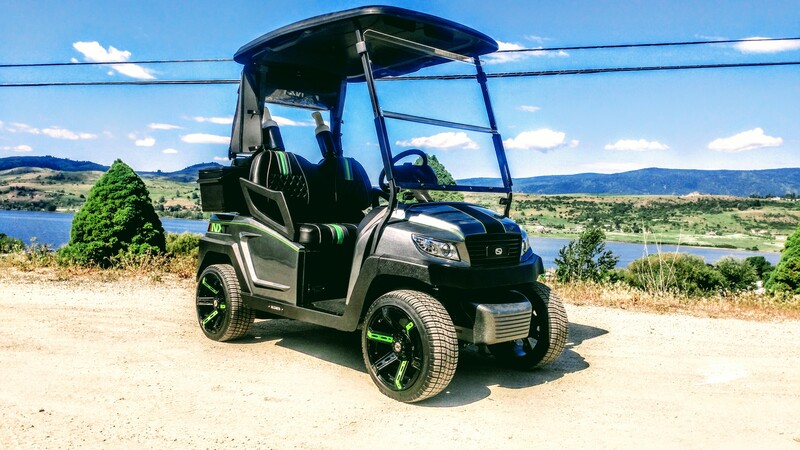 It won’t be long and this cart will be turning heads everywhere it drives. Have a look at how this cart came together! Front cowl installed and bringing the look together! Finishing off the front with the SC Carts grill! With everything completed it was time to get this cart out and let it feel the grass beneath it’s wheels for the first time after the complete rebuild! It looks right at home! What a cool looking buggy! It has a mean looking stance. Well that’s it that’s all another beautiful SC Carts custom finished and ready to make it’s way home to a new member of the SC Carts family! If you didn’t see part one of this build you can catch up right here!